A full bodied and nutty Colombian coffee from PT's Coffee Roasting in Topeka, KS. Bright, Full Bodied, and Nutty. The break brings out white grapes, dark caramel, and brown sugar. The body is full and rich, washing the palate with dense and rich textures in a heavy weight. There is an intensely bright stone fruit in the acidity that is reigned in by molasses, caramel, and candied sweetness. Hints of oak and grapefruit pith create a complex depth to the cup, and finishes with cinnamon, allspice, cocoa, and a crisp sweetness. In the nose, aromas of citrus, jasmine, toasty malt, and sweet grains are present. The texture is thick and sticky with a medium to heavy weight. The acidity is up front and intense wtih meyer lemon and peach. Subtle sweetness of cane sugar helps support the bright aspects of the flavor, and resinous dark chocolate stays on the palate with hints of cedar through the finish. Categories: Coffee Ratings. Origins: Colombia. Flavors: Caramel, Molasses, and Stone Fruit. Brew Descriptors: Bright, Full Body, and Nutty. 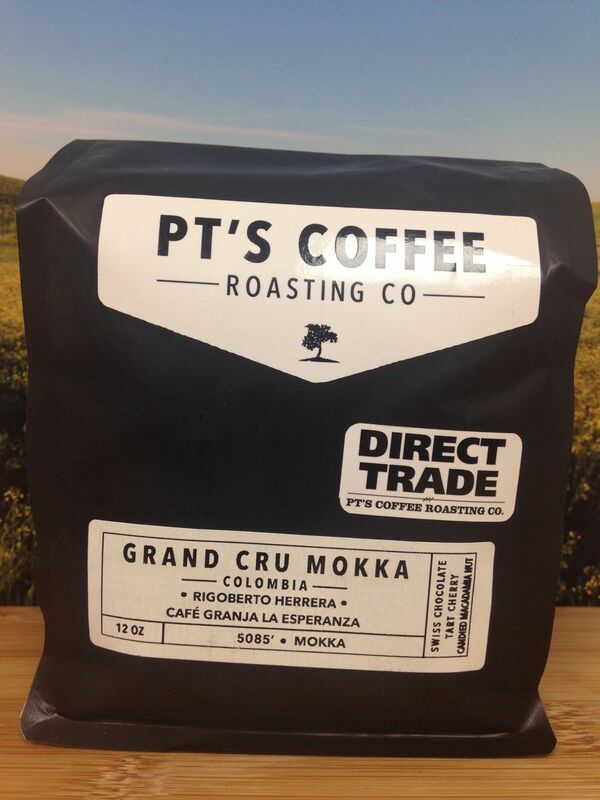 Roasters: PT's Coffee Roasting Co..